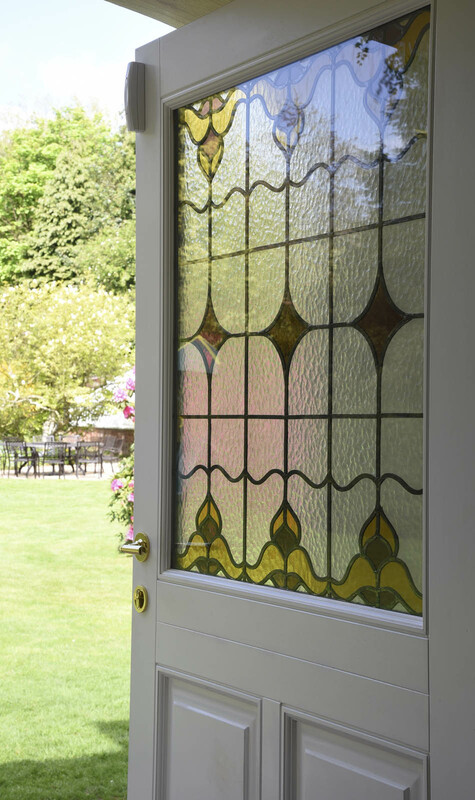 This spectacular 1850’s Georgian house with Victorian modifications in the suburbs of Birmingham had a series of very special requirements for its windows and doors. Its preservation as a house of period importance attracts the watchful eye of English Heritage, who preside over any present day changes. Sash windows in White various formations, including bespoke specifications and 18mm astragal glazing bars. 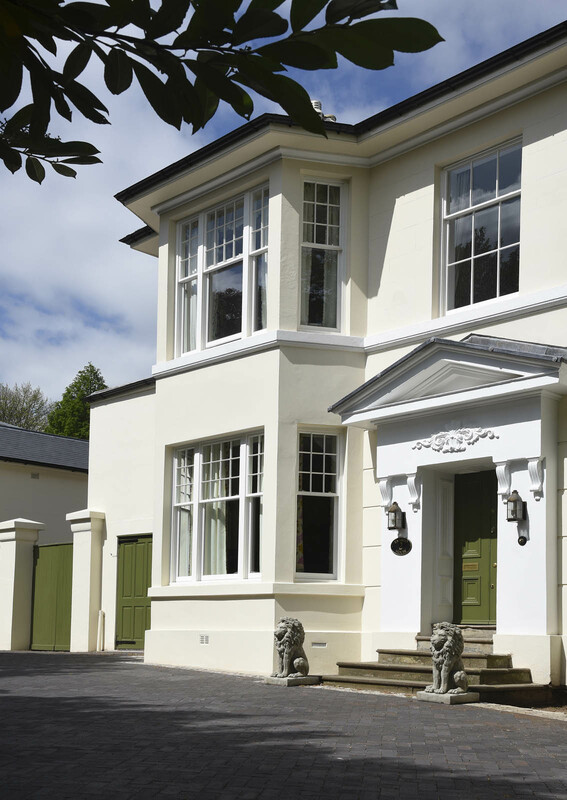 The staff at Timber Windows of Harborne were instrumental in liaising with both Mr & Mrs Blacklaw (the owners) and English Heritage in order to agree the replacements and the very particular specifications of them. 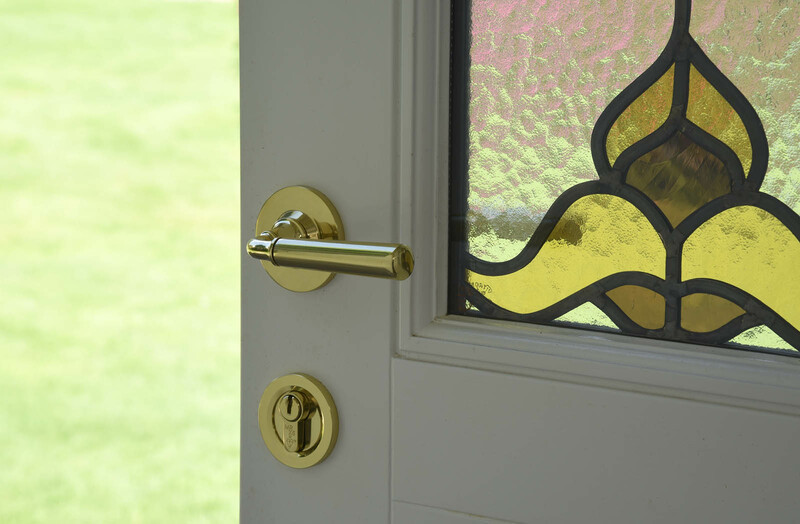 “Having used Timber Windows of Harborne” before, we were very happy with their work and knew they had the expertise to help us with this house” Mr Blacklaw says. 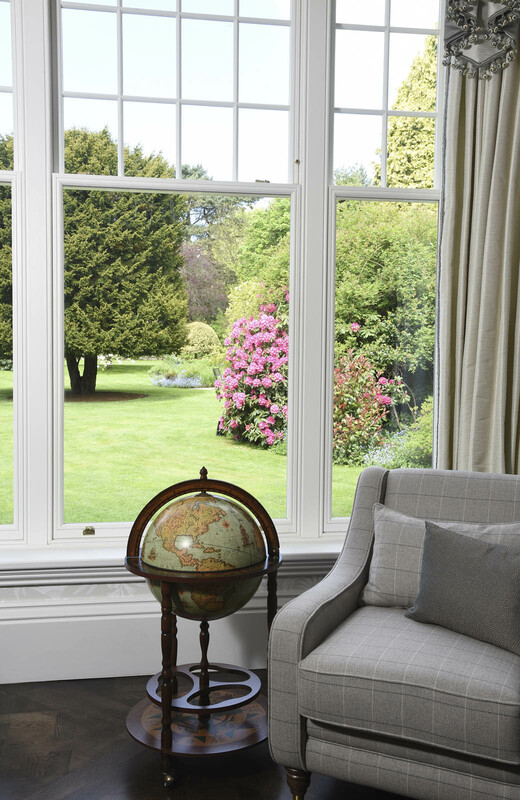 The nature and scale of the house and its various periods of architecture, meant that all kinds of Engineered Meranti Hardwood sash windows were required including hidden spring, slim box variations, chains & weights mechanisms and Venetian (triple) design sashes, along with a number of bespoke requirements. 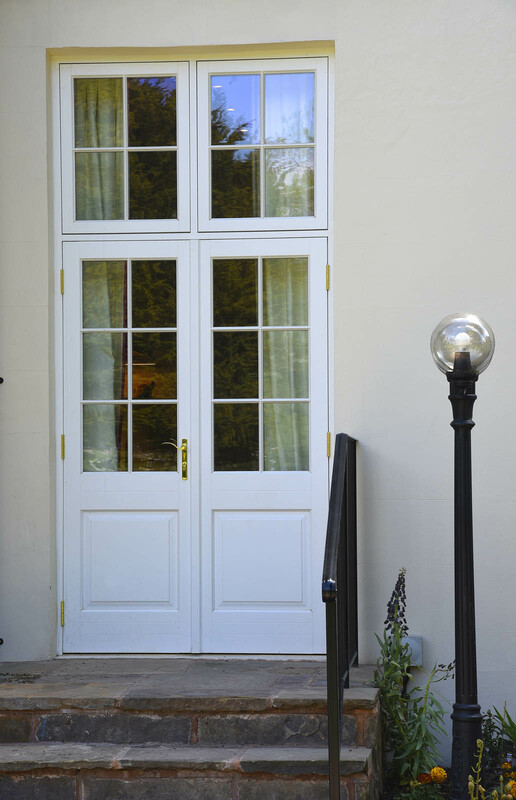 In addition, a large set of French doors with toplights were specified and a Belbroughton entrance door. 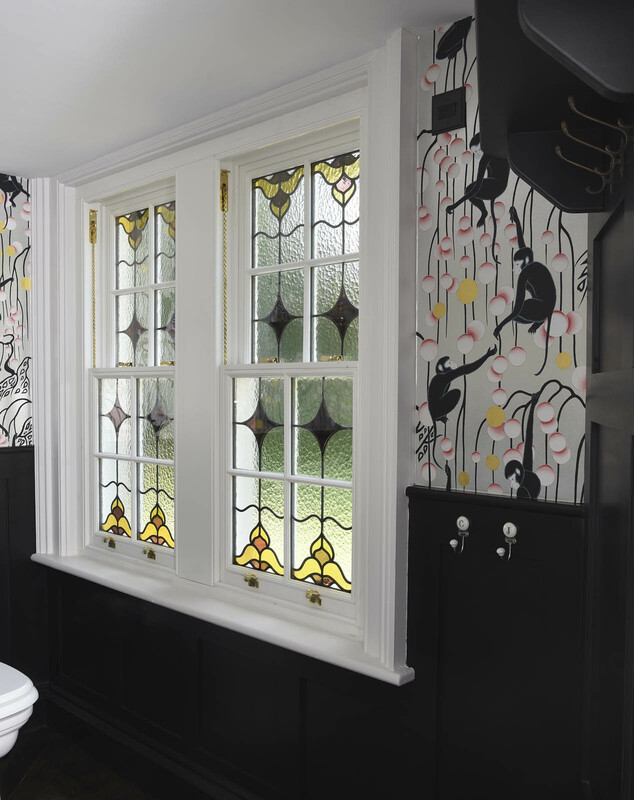 The stained glass design in the door and bathroom windows were matched by Timber Windows to an original design found elsewhere in the house.